Infraspection Institute is the oldest independent infrared training and infrared certification firm in the world. Founded in 1980, Infraspection Institute has trained and certified over 10,000 thermographers worldwide. With over 35 years in business, Infraspection Institute literally pioneered the thermography training industry. During our long history, we have shaped the infrared industry through training, consulting, technical publications, research, standards development, and software publishing. Since we do not manufacture or sell infrared equipment, our courses are presented without marketing hype and are relevant to all brands of thermal imagers regardless of age. All of our infrared training instructors are highly experienced, practicing thermographers with infrared certification credentials. Each brings years of unmatched, real-world experience to the classroom. Our thermography training courses are taught using a combination of dynamic multi-media presentations, hands-on demonstrations and one-on-one interaction with students. Our courses integrate theory, practice, and case studies in a fun, relaxed atmosphere designed to maximize your learning experience. All training courses and Reference Manuals are constantly updated with the latest applications, practices and Standards based on research by our staff, graduates and others. Infraspection Institute is the world’s only provider of comprehensive online thermography training courses. Our Distance Learning Thermography Courses enable you to take your training wherever and whenever it’s convenient for you. Our Distance Learning Thermography Courses are based upon our Level I, II, and III Certified Infrared Thermographer® courses and meet all ASNT training requirements for the certification of NDT personnel. Students completing 32 hours of training may achieve their infrared certification by passing our Certified Infrared Thermographer® exam. • Why is Training Important? • Is All Thermography Training Equal? • What is Infrared Certification? • How Does a Person Become an Infraspection Certified Infrared Thermographer®? • Do I Have to Attend an Infrared Training Class to Become Certified? • Does Infraspection Certification Expire? • Can My Infraspection Training Qualify for Continuing Education Credits? •Can Training Be Conducted at My Facility? •How is Distance Learning Different? • What Do I Receive for My Tuition? •What Continuing Education Do You Provide? Why is Thermography Training Important? Aside from test equipment, infrared training is the most important investment a company will make in an infrared inspection program. Advances in technology have provided infrared equipment that is user-friendly; however, infrared thermography is not a “simply point and shoot” technology. In addition to understanding the object or system being inspected, thermographers must also understand common error sources that can influence observed thermal data. 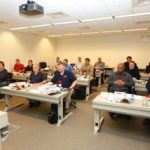 Infraspection Institute Level I and Level II infrared training courses teach infrared theory, heat transfer concepts, equipment selection and operation, how to eliminate or overcome common error sources, and specific applications. Our training courses are designed to allow a student to quickly master the technology enabling a company to see an immediate return on their investment. Is All Infrared Training Equal? No. While many firms offer Level I, II, or III infrared training courses, course content is largely determined by the instructor. Consequently, course content often varies widely between infrared training firms. Infrared training courses offered by equipment manufacturers are often biased toward their own brand and often conveniently ignore key limitations of equipment that they manufacture and/or sell. Since Infraspection Institute does not manufacture or sell infrared equipment, our training courses are not “infomercials”. 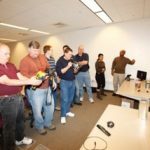 Infraspection Institute training courses are presented without marketing hype and are applicable to all infrared imagers regardless of brand or age. 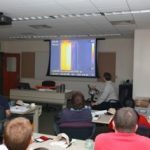 All Infraspection training courses are taught by experienced Level III thermographers who have extensive field experience in providing infrared inspections for a broad range of industries worldwide. Infrared certification is written proof that a person has completed formal infrared training and/or possesses a certain skill set. Certification has long been one measure of thermographer competence within the infrared community much in the same way a diploma or degree is used among educational institutions. With over 35 years in business and nearly 10,000 graduates of our training courses worldwide, Infraspection Institute is the oldest and most respected name in infrared training and thermographer certification. Recognizing our reputation for excellence, smart engineers demand Infraspection Certified Infrared Thermographers® for their projects. The Infraspection Institute Certified Infrared Thermographer® program is compliant with international standards organizations such as ISO and ASNT. How Does a Person Become an Infraspection Certified Infrared Thermographer®? Upon completion of an Infraspection Institute Level I, II, or III infrared training course, students are welcome to take the Infraspection Institute Certified Infrared Thermographer® exam. These exams are open book tests that are based upon the content of the subject course. Students who score 80% or higher receive an Infraspection Institute Certified Infrared Thermographer® Certificate. Infraspection certification is good for life and does not expire. There are no renewal fees associated with Infraspection Institute certification. Do I Have to Attend an Infrared Training Class to Become Certified? No. As an alternative to taking the certification exam at the end of a course, students who complete 32 hours of Distance Learning may also take the Infraspection Institute Certified Infrared Thermographer® exam. These exams must be taken in person and are available at any of our regularly scheduled courses, at our annual IR/INFO Conference, or by appointment at an approved Infraspection Institute testing facility. As an alternative, students may also take their exam via a video conference link to one of our Level III Distance Learning Instructors. No. Unlike certifications offered by other infrared training firms, Infraspection Institute certifications have no expiration date and are good for life. Infraspection Institute does not charge renewal fees nor is it conditional upon your future attendance at technical conferences. In addition to being the world’s most recognized name in thermographer training, Infraspection Institute certification has zero ongoing cost of ownership and is truly hassle-free. Can My Infraspection Training Qualify for Continuing Education Credits? Yes. 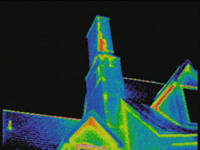 Continuing Education Credits are available for several of our infrared training courses. 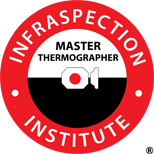 Organizations that recognize Infraspection’s thermography training courses include: the InterNational Association of Certified Home Inspectors (InterNACHI), the InterNational Electrical Testing Association (NETA), the Roof Consultants Institute (RCI), and the Society for Maintenance and Reliability Professionals (SMRP). Students who complete and achieve a passing exam grade for our Level I, Level II, and Level III infrared training courses will earn 20 points per course toward initial membership in the Infraspection Institute Master Thermographer® program. 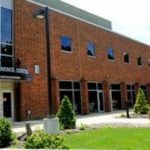 New Jersey based Level I, II, and III open-enrollment training courses are held at several times throughout the year at The Conference Center at Mercer. The Conference Center is located at Mercer County College, 1200 Old Trenton Road, West Windsor, NJ. The Conference Center is easily reached from major highways and is approximately 50 miles from both Philadelphia International and Liberty International Airports. Trenton Mercer Airport is approximately 13 miles from The Conference Center. Infrared training classes are also available at several locations worldwide through companies who are licensed to teach using Infraspection Institute training materials. Locations and dates may be found on our course schedule page. Can Infrared Training Be Conducted at My Facility? Yes! In addition to our Level I, II, and III Certified Infrared Thermographer® Courses, Infraspection Institute can also provide customized on-site training at your facility. With an on-site class, our Level III instructors will travel to your facility and can customize our training courses to meet your company’s particular needs. Whenever possible, we will work with your on-site staff to conduct field trips and address your company’s particular applications. On-site training provides a cost-effective alternative to attending open-enrollment classes. On-site classes may be conducted for any number of students and are generally cost-effective with classes of 5 or more students. How is Distance Learning Different? Infraspection Institute was the world’s first company to offer Distance Learning Courses for thermography. Presently, we maintain the world’s largest inventory of online training courses. We utilize state-of-the-art web servers and dynamic multimedia resources to provide a unique, quality educational experience. Our Distance Learning Courses are based upon our Level I, II, and III infrared training course content and meet all ASNT training requirements for the certification of NDT personnel. All Distance Learning courses are taught by Infraspection Institute Level III Certified Infrared Thermographers® each having over 20 years of professional experience. All Distance Learning Courses are divided into narrated 1-hour units allowing you to work at a pace that’s convenient for you. With our Distance Learning Courses, you can tailor your infrared education through our wide selection of application and industry-specific courses. What Do I Receive for My Tuition? Tuition for Infraspection open enrollment infrared training courses includes the following: All course materials including Student Reference Manual, Certified Infrared Thermographer® Exam at end of course, a trial copy of Exception® Pro Data Management and Report Generation Software, and Continental Breakfast and Lunch during the course. On-site courses include the above plus field trips. Meals and meeting space can be provided upon request. Distance Learning Courses include the following: Student Reference Manual, multi-question online quizzes for each course unit, Exception® Pro Data Management and Report Generation Software, hands-on experiments utilizing provided materials, instructions for self-directed learning activities, and written proof of course completion. What Continuing Education Do You Provide? In addition to our Level I, II, and III thermography training courses, Infraspection Institute hosts IR/INFO, an annual Advanced Training Conference, Technical Symposium and Technology Exposition. Since 1980, IR/INFO has been the infrared industry’s premiere showcase for the latest in applications, equipment, techniques and standards. IR/INFO provides a unique forum in which our industry’s brightest professionals exchange up-to-the-minute information, ideas and business strategies. Be sure to join us for 4 days of learning, networking, and fun. In addition to our Level I, II, and III infrared training courses, Infraspection Institute hosts IR/INFO, an annual Advanced Training Conference, Technical Symposium and Technology Exposition. Since 1980, IR/INFO has been the infrared industry’s premiere showcase for the latest in applications, equipment, techniques and standards. IR/INFO provides a unique forum in which our industry’s brightest professionals exchange up-to-the-minute information, ideas and business strategies. Be sure to join us for 4 days of learning, networking, and fun. • Why is Infrared Training Important? • Is All Infrared Training Equal? • Where Are Classes Held? • Can Infrared Training Be Conducted at My Facility? • How is Distance Learning Different? • What Continuing Education Do You Provide? • Why Infraspection Institute Training?